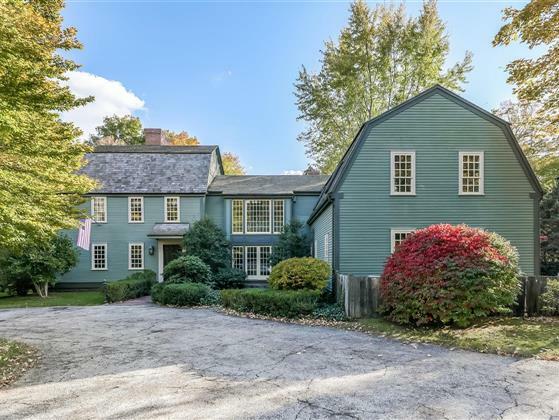 The Perfect Blend of Original and New.... Brimming w/architectural detail, the Peter Butler Homestead has been lovingly rebuilt and architecturally expanded w/ all modern amenities blended seamlessly with the original home. Currently situated on 3+ acres of picturesque countryside surrounded by sweeping lawns, stone walls and patio. The Architect incorporated accessories from other historic homes. Enjoy high beamed ceilings, chestnut floors, stone & brick fireplaces, and some original wood paneled walls. SeiMatic custom Kitchen includes a center island, Butler's pantry, and opens into the expansive Living room w/Fireplace, and a wall of glass windows.The Tavern room features beamed ceilings, chestnut floor and wine bar! A glassed in sun porch offers additional outdoor space. Second floor offers 3 private suites. Master has a fireplace, cathedral ceiling w/ beams, luxurious bath and 2 walk-in closets. The third floor makes a perfect home office or game room!